The New World Hotels & Resorts and the ABS-CBN Lingkod Kapamilya Foundation, Inc. (ALKFI) once again collaborate to launch the Golf Cup 2016 Tournament set to unfold on October 7 at the Ayala Greenfield Golf and Leisure Club in Laguna. (L-R) New World Hotel Makati General Manager Farid Schoucair, ABS-CBN Lingkod Kapamilya Foundation, Inc. Chief Finance Officer Noemi Samson, New World Hotel Manila Bay Executive Chef James Williams and New World Hotel Makati Director of Finance Lyn Sy joined hands during the MOA Signing for Golf Cup 2016 on October 7, 2016 at the Ayala Greenfield Golf and Leisure Club, Laguna. Following the success of the second Run & Raise 2016 unfolded in January, New World Hotels now ventures to another sport based on the request of their clients and partners. Like fun runs, golf has gained popularity in the Philippines over the years. “We have our CSR committee and we get to meet on regular basis to come up with different initiatives, how to give back to the community... So we brainstormed, we say, why don’t we do Golf for a Cause? So we invited some of our friends who used to organize this kind of tournament. We contacted some of the local golf clubs to get some help and some advice on how to go about it. 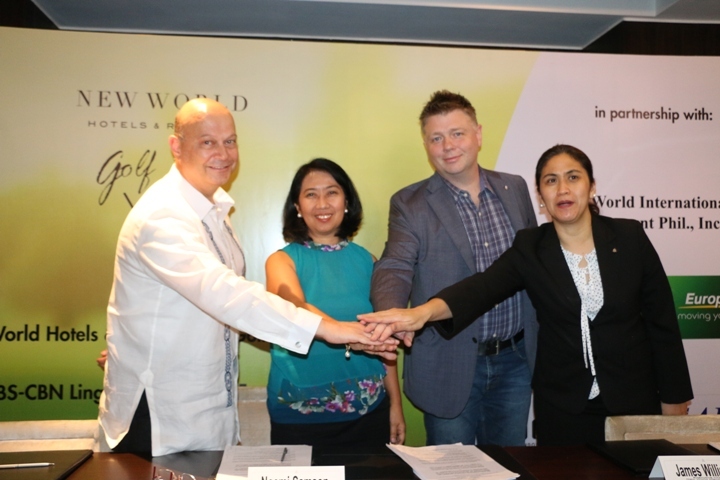 And things started happening very fast,” New World Hotel Makati General Manager Farid Schoucair enthused. Schoucair also expressed that they are expecting to “beat the amount of donation” they gave to ABS-CBN Lingkod Kapamilya during the Run & Raise unfolded last January. The registration for Gold Cup 2016 set in October has already closed because of influx of many golf enthusiasts who would like to join. 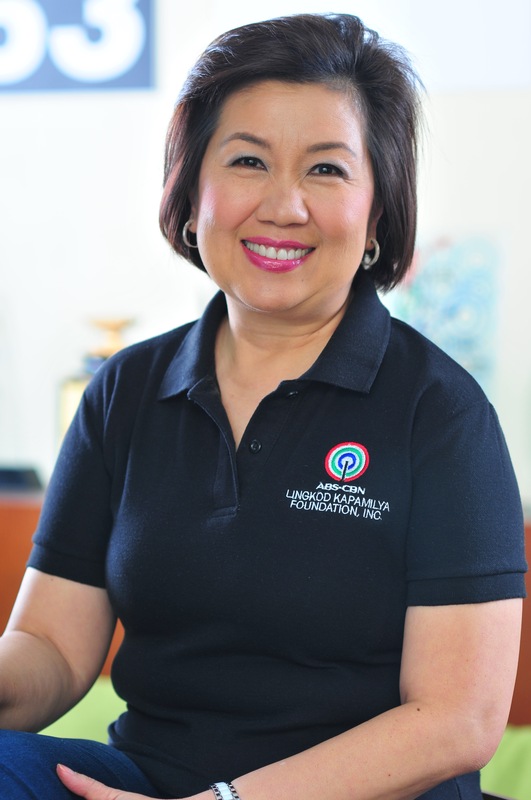 ALKFI Chief Finance Officer Noemi Samson expressed gratitude to the New World Hotels and explained the foundation’s thrust of going beyond providing relief assistance. 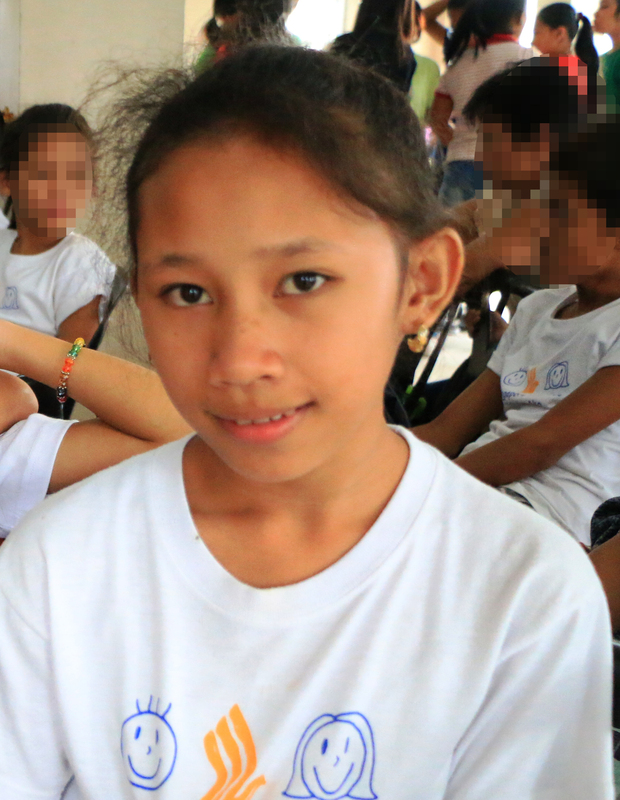 “Our team, through Sagip Kapamilya, would be among the first responders during calamities, bringing in food, water – the basic immediate relief. But we do not stop there because we also help in the rehabilitation of these areas by rebuilding infrastructures that have been devastated by typhoons and other calamities. And so you will note that we really have a lot of areas and opportunities for collaboration,” Samson articulated. The New World Hotels and ABS-CBN Lingkod Kapamilya are set to collaborate for future events for the benefit of the communities nationwide.